45+ User Votes to help you find Top 7 Places in Delhi where you can have a meal under Rs 500. Delhi never disappoints. Indeed. It is true when it comes to restaurants as well. But what about Budget? Are you in search of a place where you can have a good meal but not in mood of paying a huge amount? Well, we are here to help you out with this now. We will give you the top 7 budget places to visit in Delhi. 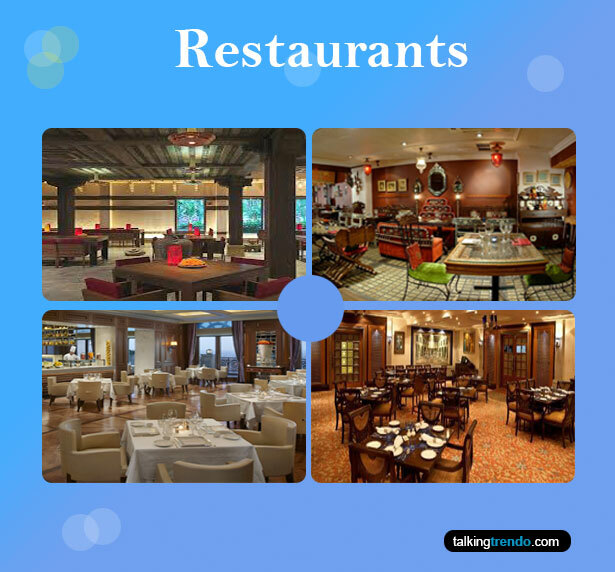 Which is your Favorite among these restaurants? Located beside Oxford Bookstore, Connaught Place, Cha Bar is a place that is simply awesome. It is a perfect place if you are interested in Books as Cha Bar is just beside the Oxford Book store and you can grab a book from there and just read it with a cup of tea from Cha Bar. This place fully justifies its name as it has over 100 varieties of Tea or Chai. The ambiance is nice and you will always find sophisticated people here. Two people can have some really good food here in less than 500 bucks for sure. Located in the Outer Circle, Nirulas Potpourri is far away from the maddening crowd of CP. The USP of Nirulas is their ambience designed to perfection by their creators. In spite of some fancy photographs on the walls, they have images of Red Chillis, Potatoes, and some special ones of Connaught Place which makes it a more mind-blowing place. The main thing, i.e. Food is very fairly priced and is delicious as well. A person can eat here in 500 bucks very easily. Located in Khan Market, Khan Chacha is a place which has been in Khan Market for a long time now and has a big fan following who crave for their Kathi Rolls, Seekh Kebabs, Rumali Rolls and Paneer Tikkas. Khan Chacha is listed among the most busiest eateries in the town and is always fill with people most of the times. If you are a non-vegetarian lover, then surely this is the place where you should be right now. Some good stuffing for a person here will cost you around 400-500 bucks. Khan Market is a luxury in every aspect possible. Be it shopping or food, you will get all the gems here. Another pioneer in Khan Market for having some amazing food is Soda Bottle Opener Wala. This is undisputedly the best parsi cafe in the city. The ambiance is extra ordinary with tables that look vintage, beautiful candles and antiques that give a spark to the decor. It is very obvious that there are a very few Parsi cafes in Delhi, so our take on this place- It is a must visit one and above all, a person can eat within Rs 500. Located in North Campus, Ricos is an obvious choice for students in nearby colleges due to its easy location and fairly priced menu. With a beautiful ambiance and colorful paintings hanging on the wall, Ricos has a soothing environment and a bookshelf as well from where you can grab a book and go through it till your meal arrives. The food is mouth-watering and the cost will leave you thinking which one of them is better- The food or its cost. A meal for you here will cost around 400-500 bucks. Another economical place located in Vijay Nagar is Big Yellow Door. You will find this place really unique as they have a tilted yellow door at the entrance and inside, fancy lights and paper lamps hanging from the roof make the ambiance more attractive. The menu is filled with amazing choices that are named very differently just like the House Specialty Rocky Road Shake. Big Yellow Door is an obvious choice for the students as the menu is fairly priced and does not burn a big hole in the pockets of students. Average cost for one person here is a maximum of 500 bucks. If you are guessing that Beeryani will serve you a combo of beer and biryani, then you are absolutely right. Located Opposite IIT Main Gate, this place feeds you amazing Indian food with alcohol at very fair prices. This place is very frequently visited by students and if you want a place where you can dine at good prices, then there is no better place than this. A person can have a meal here in just 500 bucks for sure. Big Yellow Door: Another economical place located in Vijay Nagar is Big Yellow Door. You will find this place really unique as they have a tilted yellow door at the entrance and inside, fancy lights and paper lamps hanging from the roof make the ambiance more attractive. The menu is filled with amazing choices that are named very differently just like the House Specialty Rocky Road Shake. Big Yellow Door is an obvious choice for the students as the menu is fairly priced and does not burn a big hole in the pockets of students. Average cost for one person here is a maximum of 500 bucks. Ricos: Located in North Campus, Ricos is an obvious choice for students in nearby colleges due to its easy location and fairly priced menu. With a beautiful ambiance and colorful paintings hanging on the wall, Ricos has a soothing environment and a bookshelf as well from where you can grab a book and go through it till your meal arrives. The food is mouth-watering and the cost will leave you thinking which one of them is better- The food or its cost. A meal for you here will cost around 400-500 bucks. Khan Chacha: Located in Khan Market, Khan Chacha is a place which has been in Khan Market for a long time now and has a big fan following who crave for their Kathi Rolls, Seekh Kebabs, Rumali Rolls and Paneer Tikkas. Khan Chacha is listed among the most busiest eateries in the town and is always fill with people most of the times. If you are a non-vegetarian lover, then surely this is the place where you should be right now. Some good stuffing for a person here will cost you around 400-500 bucks. Beeryani: If you are guessing that Beeryani will serve you a combo of beer and biryani, then you are absolutely right. Located Opposite IIT Main Gate, this place feeds you amazing Indian food with alcohol at very fair prices. This place is very frequently visited by students and if you want a place where you can dine at good prices, then there is no better place than this. A person can have a meal here in just 500 bucks for sure. Soda Bottle Opener Wala: Khan Market is a luxury in every aspect possible. Be it shopping or food, you will get all the gems here. Another pioneer in Khan Market for having some amazing food is Soda Bottle Opener Wala. This is undisputedly the best parsi cafe in the city. The ambiance is extra ordinary with tables that look vintage, beautiful candles and antiques that give a spark to the decor. It is very obvious that there are a very few Parsi cafes in Delhi, so our take on this place- It is a must visit one and above all, a person can eat within Rs 500. Nirulas Potpourri: Located in the Outer Circle, Nirulas Potpourri is far away from the maddening crowd of CP. The USP of Nirulas is their ambience designed to perfection by their creators. In spite of some fancy photographs on the walls, they have images of Red Chillis, Potatoes, and some special ones of Connaught Place which makes it a more mind-blowing place. The main thing, i.e. Food is very fairly priced and is delicious as well. A person can eat here in 500 bucks very easily. Cha Bar: Located beside Oxford Bookstore, Connaught Place, Cha Bar is a place that is simply awesome. It is a perfect place if you are interested in Books as Cha Bar is just beside the Oxford Book store and you can grab a book from there and just read it with a cup of tea from Cha Bar. This place fully justifies its name as it has over 100 varieties of Tea or Chai. The ambiance is nice and you will always find sophisticated people here. Two people can have some really good food here in less than 500 bucks for sure.